At the heart of the Science of Mind philosophy is a practical and direct approach to spirituality. It invites the student to meet life not with fear, but with excitement and a sense of adventure, with the attitude that anyone who understands the ideas of Science of Mind can apply them for beneficial changes in their life. The ideas are both ancient and modern. The outer experience of life reflects the inner state of mind, inner states of mind can be changed, and regular spiritual practice reveals the essential benevolent nature of life. 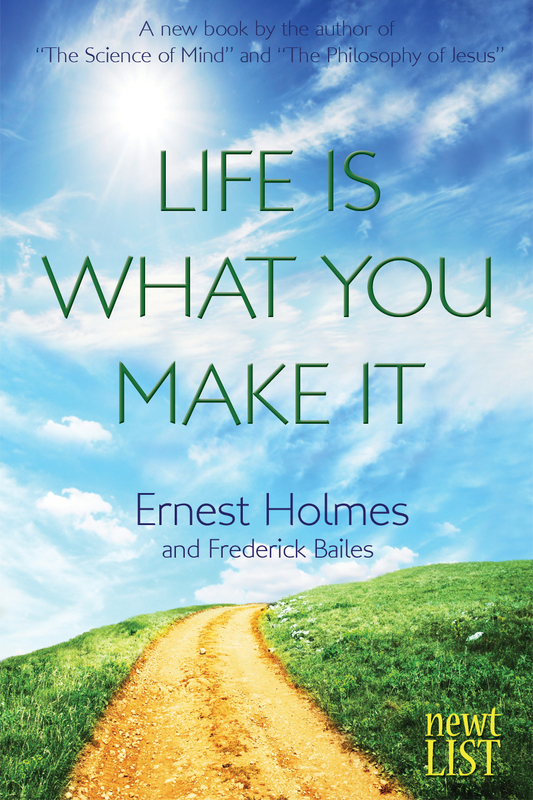 Ernest Holmes summarizes these and additional spiritual ideas in Life Is What You Make It. Created from an introductory course Holmes taught on the Science of Mind philosophy, Life Is What You Make It, from the founder of the Science of Mind philosophy and author of The Science of Mind, offers ideas and techniques for changing your life to one of success and achievement in a direct and clear format. Each chapter contains a personal meditation and a series of questions and answers designed to bring the ideas into immediate practice for the reader. The fundamental truth – Life is what you make it – is basic and essential to a personal idea of successful living. Do We Deny Human Suffering?